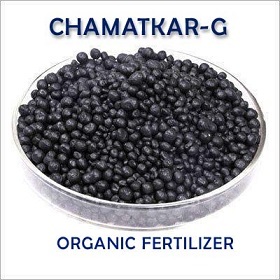 CHAMATKAR-PEARLS is a combination of Organic nutrients highly suitable for the growth of the plants. These contain proper balance of required essential nutrients. Packing : 1kg. pouch, 10Kg. bucket, 25kg. HDPE bags. Dosage: 1 - 3 kg. / acre depending on the crop and soil conditions.